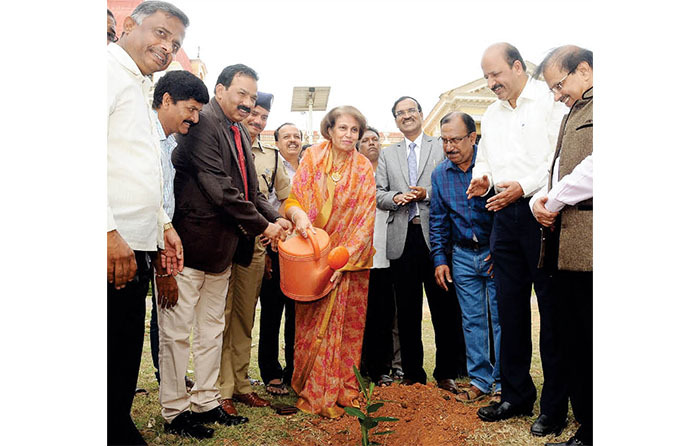 Mysuru: “The contributions of the rulers of Mysore to environment are enormous and I am proud to be a part of this legacy of the Wadiyars,” said Pramoda Devi Wadiyar of the erstwhile royal family. She was speaking after inaugurating the exhibition and planting rare saplings at the Oriental Research Institute (ORI) near Crawford Hall, to mark the 225th birth anniversary of Mummadi Krishnaraja Wadiyar, organised by ORI in association with the Horticulture Department of the University of Mysore and Sri Jayachamaraja Ursu Education Trust, here yesterday. Another significant contribution of Wadiyars is to the Bandipur Forest range. Hence, everyone should have concern to protect the environment, she said. Prof. T.K. Umesh, Registrar Prof. R. Rajanna, Principal District and Sessions Judge S. Krishnappa Vontigodi and others look on. 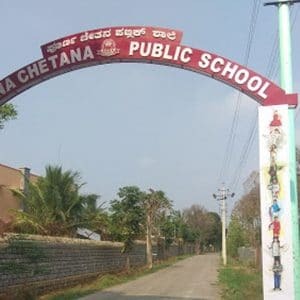 Among the 30 varieties, Pramoda Devi Wadiyar planted Sugira, a white flower which emanates fragrance at night, while Principal District and Sessions Judge S. Krishnappa Vontigodi planted Jacaranda sapling, a native of South Africa and Tabebuia rosea was planted by Karnataka Police Academy Director Vipul Kumar and University of Mysore in-charge Vice- Chancellor Prof. T. K. Umesh. 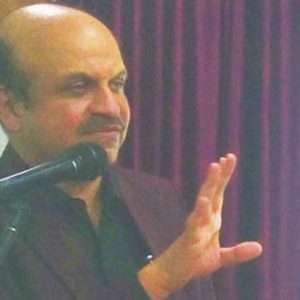 Speaking to Star of Mysore, ORI Director Prof. S. Shivarajappa said that the objective of the event was to commemorate the birth anniversary of the king who was a legend in various fields. 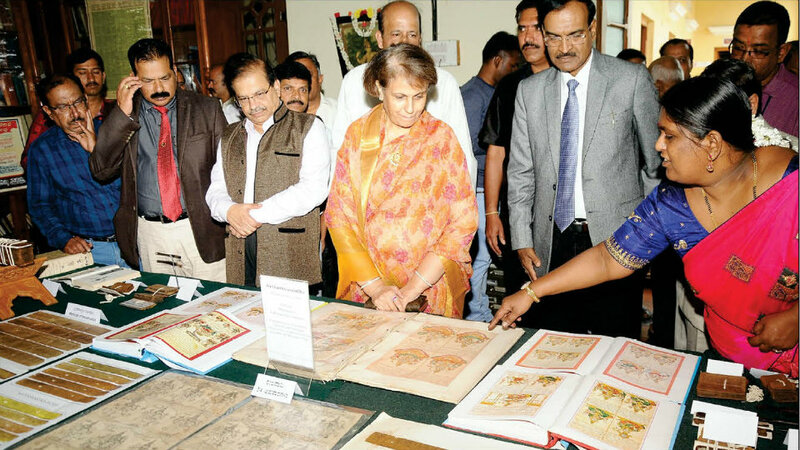 Hence, an exhibition was also planned to exhibit literary works and palm leaf manuscripts in its collection to create public awareness on Indian tradition and heritage. University of Mysore Registrar Prof. R. Rajanna was also present. The collections on display include the biggest Palm leaf manuscript (90 cm) of Veeramaheswara Akara Sangraha by Neelakanta Naganathacharya and tiniest is the Bhagavad Gita dating back to 500 BC. Tatvanidhi, a work authored by Mummadi Krishnaraja Wadiyar including his works on Tantric and Agamic reference with colourful pictures of Mysore style, hand-made black background sheets of paper including the manuscript of the famous Kautilya’s Arthashastra are on display. School and college students from JSS, Sadvidya, Kukkarahalli, Mahabodhi, Gangothri, Amritanandamayi, Mahajana, Yuvaraja’s and Somani colleges visited ORI to view the exhibits.